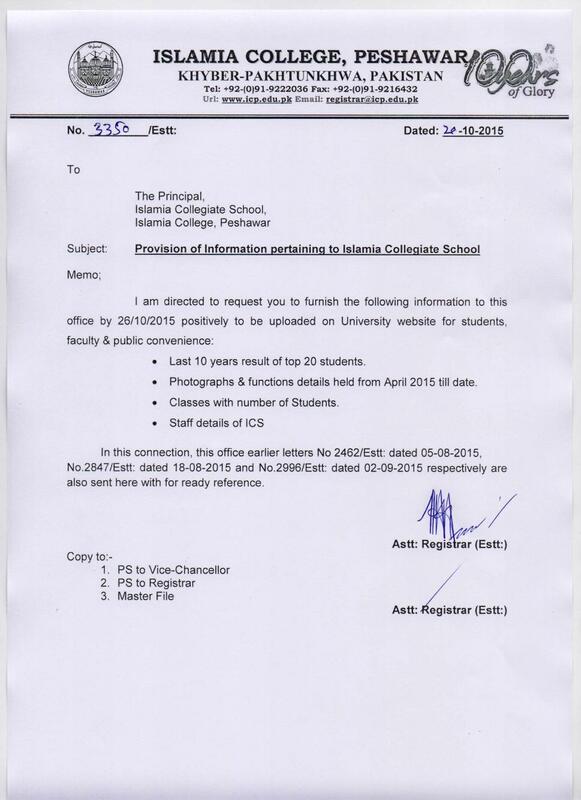 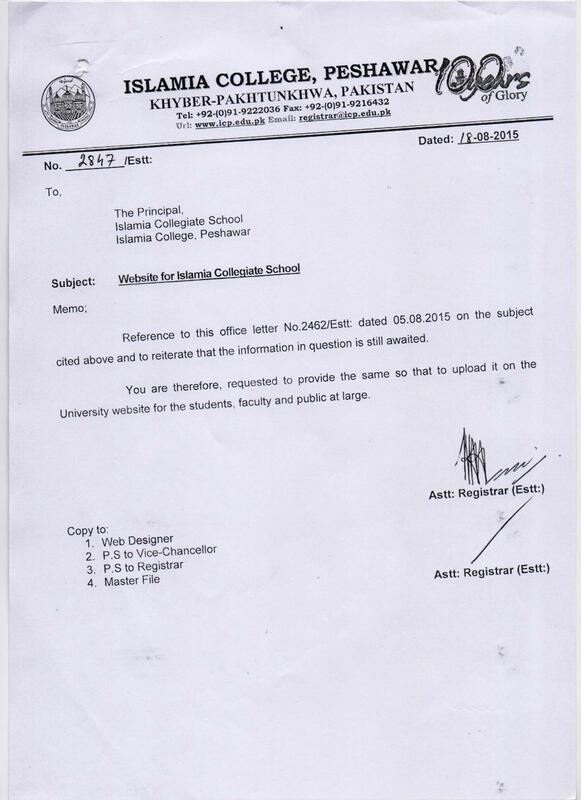 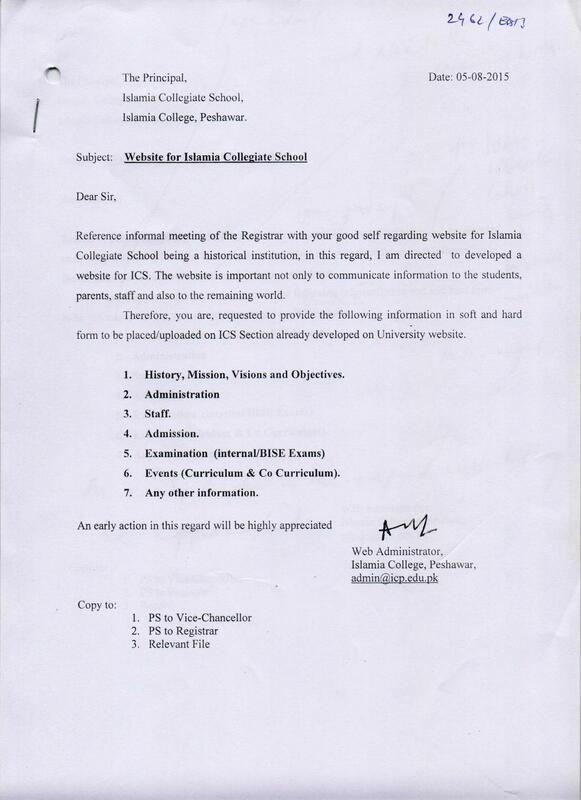 Provision of information pertaining to Islamia Collegiate School. 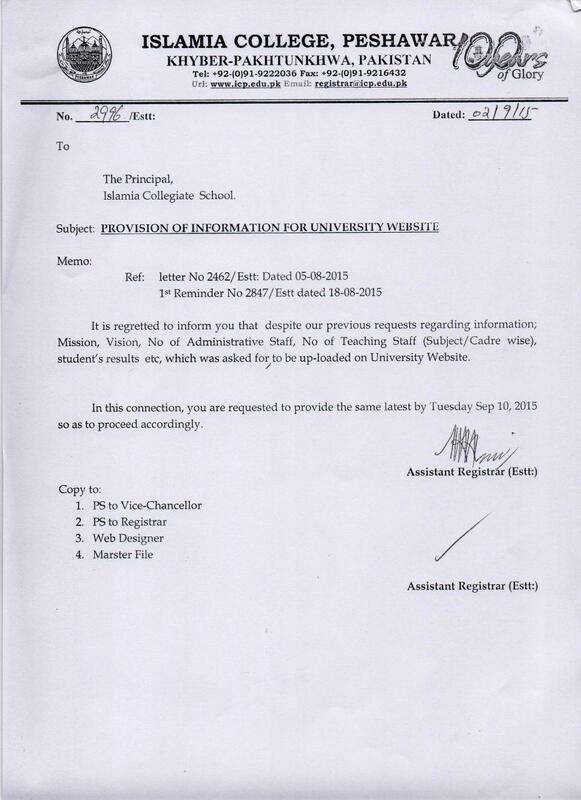 Provision of information for University website. 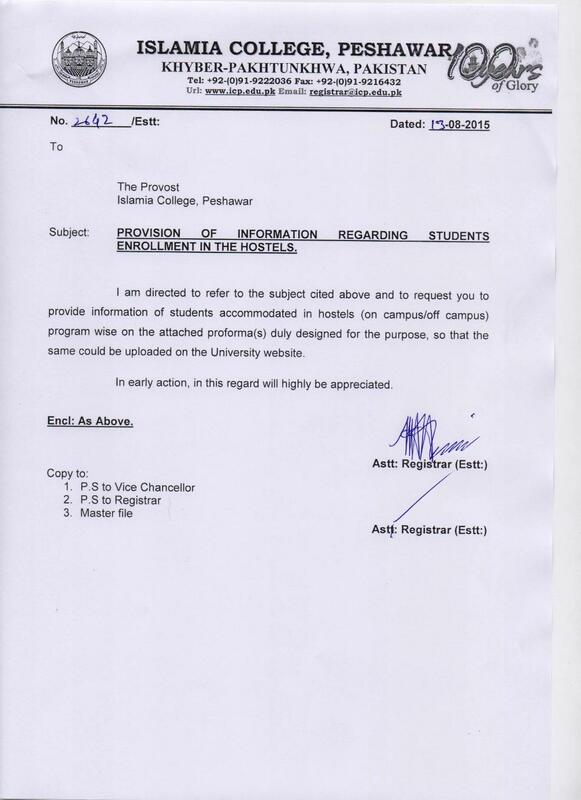 Provision of information regarding students enrollment in the hostels.